1. F&B Cashier - RM1,485 - RM1,800 - KLIK DISINI..
2. Boilerman - RM2,000 - RM3,000 - KLIK DISINI..
3. 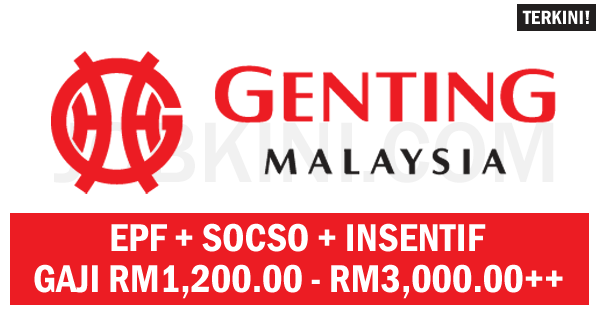 Accounts Associate Function Billing - RM1,600 - RM2,000 - KLIK DISINI..
4. Technician - RM1,200 - RM1,500 - KLIK DISINI..
5. Customer Relation Officer - RM1,300 - RM1,470 - KLIK DISINI..